What better time then the month of love to host a wedding show. Keeping with the theme of love I seem to have going on I thought I would dip into wedding territory. 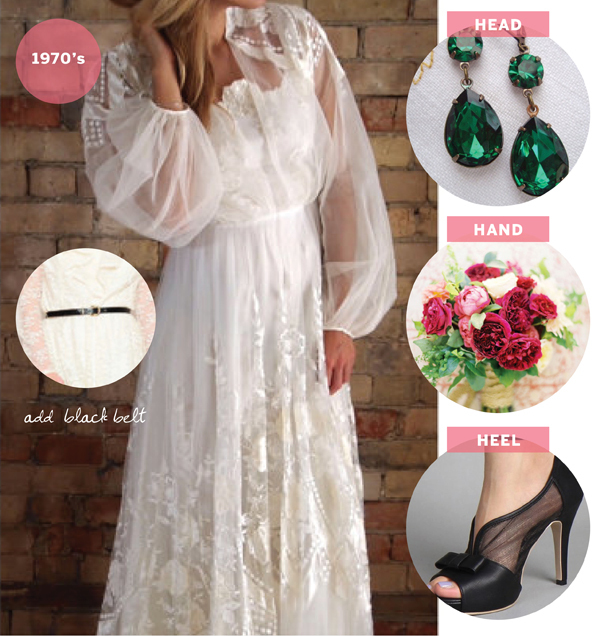 Now I’m a single gal and no I haven’t planned out my imaginary wedding (yet) but the stylist and vintage lover in me is kinda dying to, even if it’s not for myself. I thought it would be fun to play pretend wedding stylist. 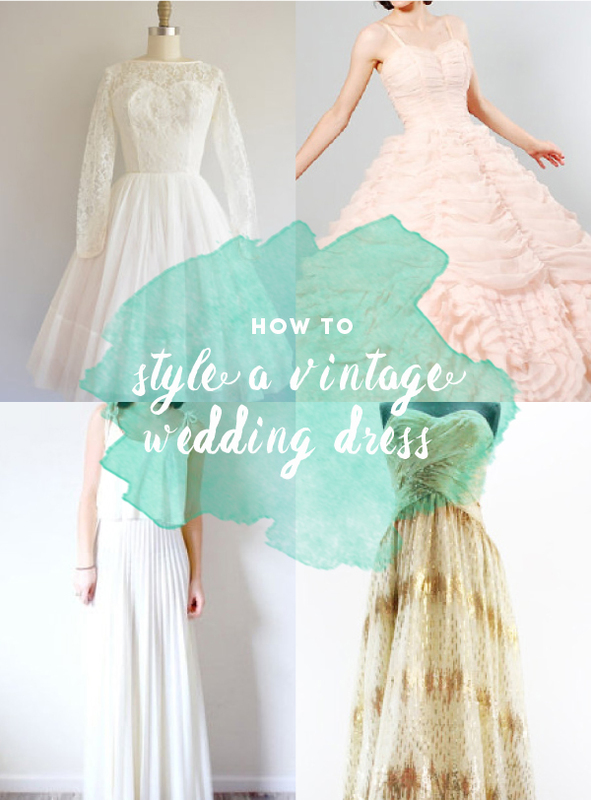 If you’re a vintage style lover and and don’t have the same insane budget as all those crazies on Say Yes to the Dress I suggest checking out Etsy. I think you will be surprised. 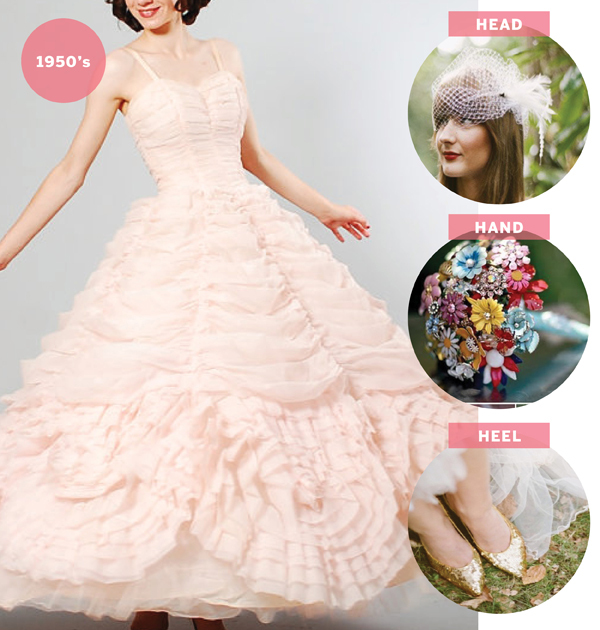 I found great dresses in all shapes, styles, sizes and (with the exception of the magnificent pink beauty) most under $500. 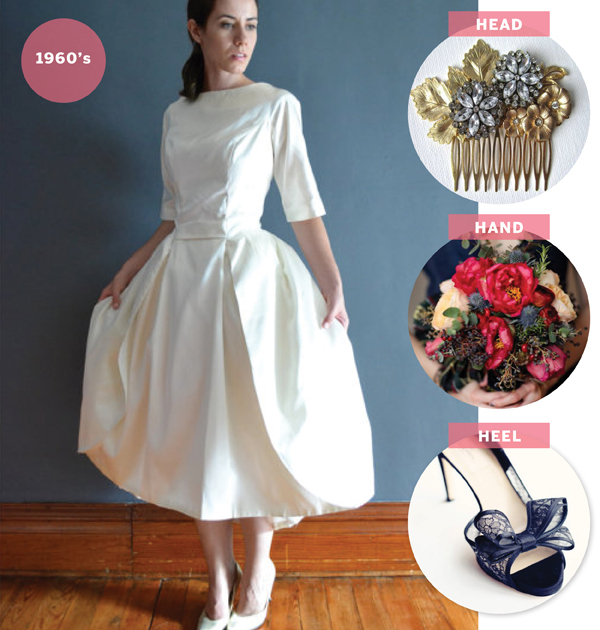 Here’s 6 great dresses I found and decided to play stylist with some picks to pair them up with. So what do you think? 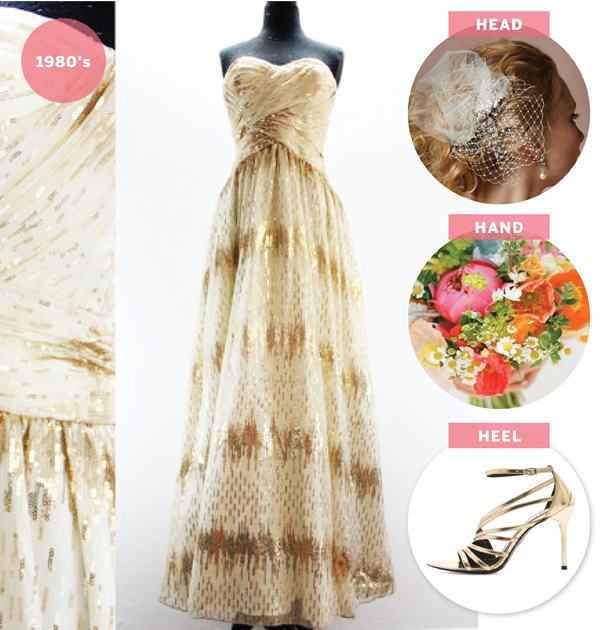 Would you consider vintage for your dress? The only hitch is that they are one of a kind so it’s kinda all or nothing. 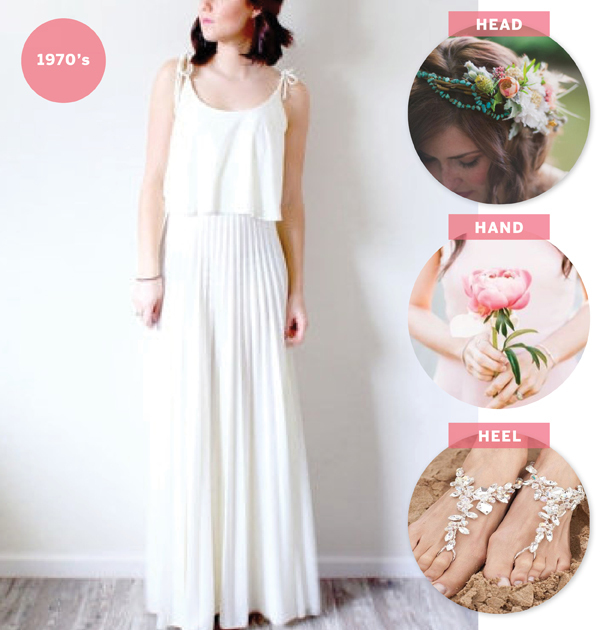 But you can always just be inspired by the styles and look for similar elements in your dress shopping escapades. 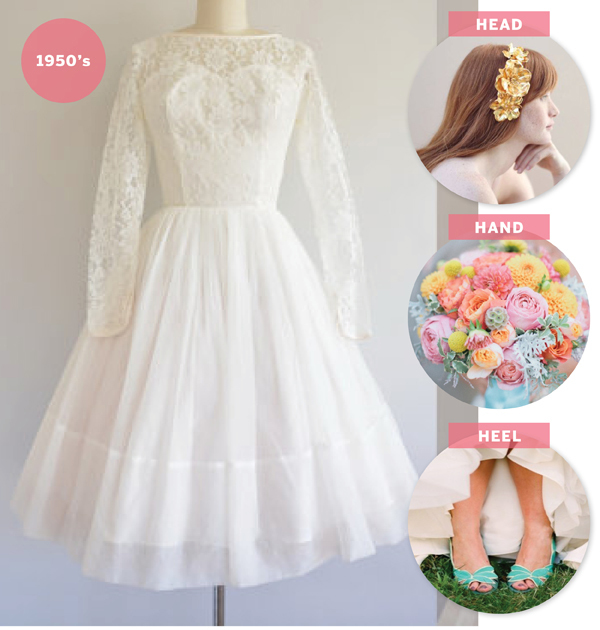 I LOVE vintage dresses! I tried to reuse my mom’s wedding dress for my big day however, it didn’t fit :( I did get to use her cathedral veil which I loved! I based my wedding dress search around it! I’ll be sure to pass this giveaway to a couple of my friends. Thanks for sharing!